James B. Helmer, Jr. receives the Lifetime Achievement Award from Taxpayers Against Fraud for his pioneering work on the Federal False Claims Act. 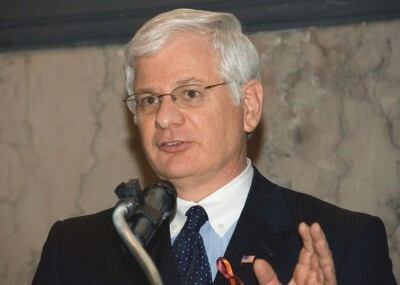 Taxpayers Against Fraud, the nation’s premier whistleblower education organization, presented a Lifetime Achievement Award at its September 2008 Washington, D.C. Annual Conference to Cincinnati lawyer James B. Helmer, Jr. for his pioneering work on the Federal False Claims Act. Helmer, President of Helmer, Martins, Rice & Popham Co., L.P.A., was cited for rediscovering the civil-war era False Claims Act, helping to convince Congress to update it in 1986 and 2008, winning the Allison Engine False Claims Act case by 9-0 decision before the United States Supreme Court against former Solicitor General Theodore Olson, recovering over $1 Billion of stolen taxpayers funds by successful False Claims Act lawsuits and by authoring the first legal treatise devoted to the False Claims Act which is now in its 6th Edition.